Jose Mourinho has described claims he is ready to leave Manchester United at the end of the season as “garbage”. Mourinho is in discussions over a new contract but it has been claimed he is so unhappy at Old Trafford that he is ready to walk away. His commitment has also been questioned as he continues to live in a hotel rather than move into his own house. “I say garbage. I don’t find a better word than to define the talk,” Mourinho said. “The worst thing someone can do is put one inch of doubt into my professionalism, to every detail related to my job, so yes the garbage news affected me just on this aspect because it’s something I don’t admit. Mourinho, whose current deal does not expire until 2019, is in the second year of a three-year contract. 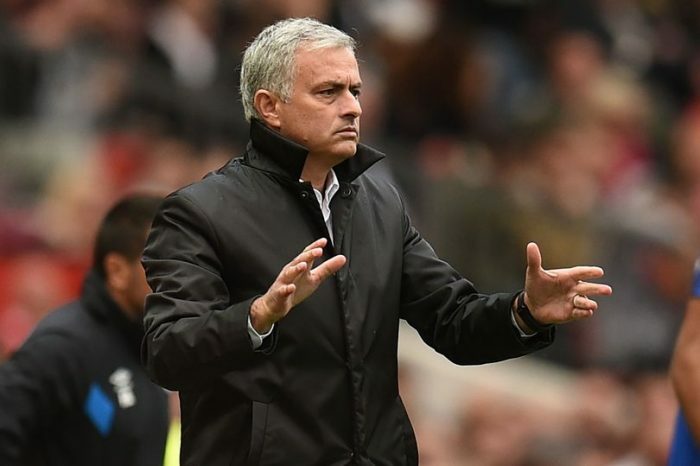 It is understood detailed conversations have taken place between United executive vice-chairman Ed Woodward and Mourinho’s advisers over extending his stay at Old Trafford. The Portuguese also addressed his apparent unhappiness at his present situation. “Because I don’t behave as a clown on the touchline? It means I lost my passion?” said the 54-year-old. “I prefer to do it the way I do it, much more mature, better for my team and myself, you don’t have to behave like a crazy guy on the touchline.